A nearly century-old bungalow got the makeover of a lifetime – incorporating bright, modern elements amongst the old-world charm and details that go into these classic properties. 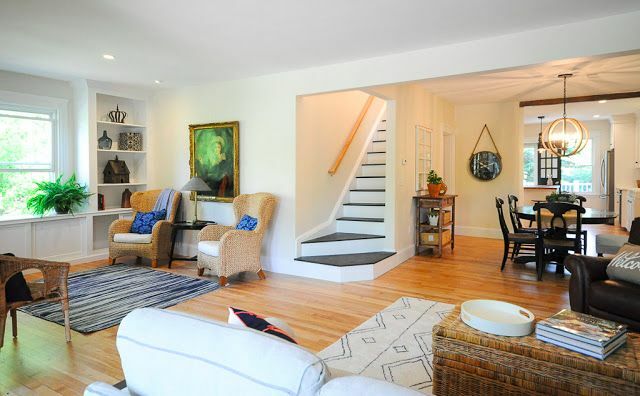 The SoPo Cottage's decor also adds an entire other element to the space - playing with a shabby-chic and modern feel by incorporating classic yet weathered pieces. We also can't get enough of the natural light that pours throughout this entire space. We love these bungalows because they're so open, and the designers have played on that fact by painting the walls these airy colors and giving the trim a slap of white paint. 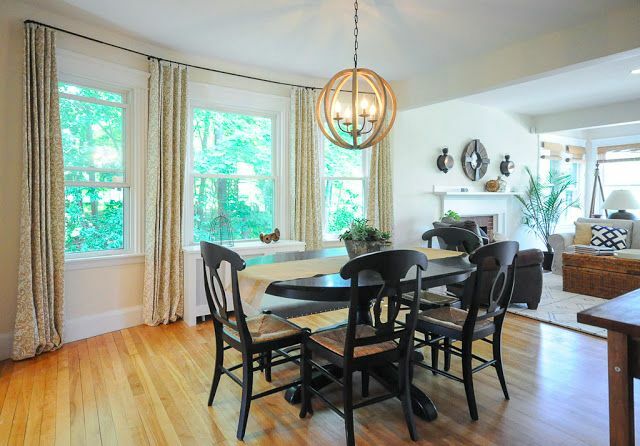 Okay, don't just take our word for it - check out this beautiful bungalow renovation yourself. Look at that big, bright space! 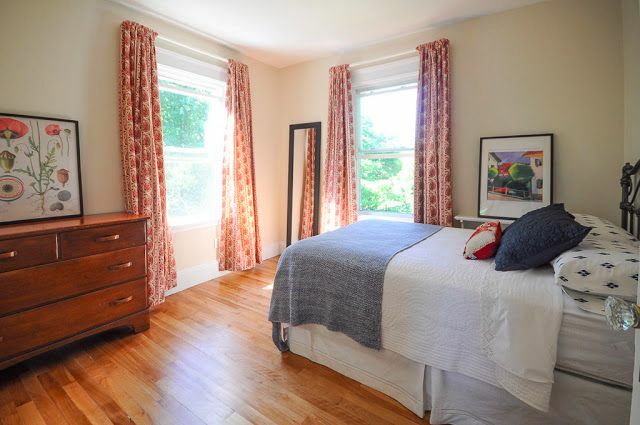 The windows are flooding the room with light - bouncing off of those mellow yellow walls, and those shiny hardwood floors. 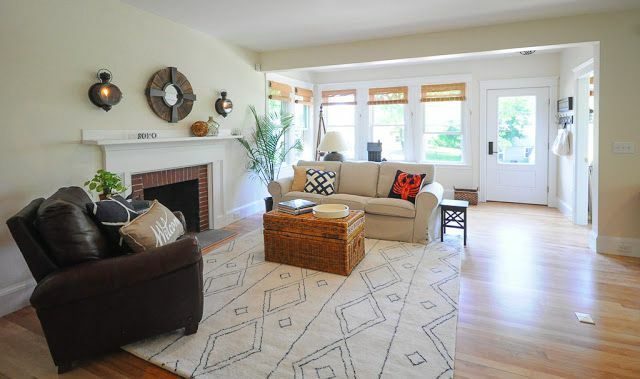 Plus, we adore the rug. It is modern and fun with that geometric pattern - yet it's reminiscent of a hand-woven Moroccan rug you might find sitting in an old home. It adds to the shabby-chic feel but doesn't go overboard contrasted against the classic furniture. When renovating, they knocked open a wall to keep the living and dining spaces flowing together - and we think it was a great idea. It also opens the staircase up to the space, as well as that reading nook over in the corner by those original built-ins. We wouldn't mind kicking back and relaxing in this space at all! From the living room, you can meander right into the dining space. Despite this room's modest size, it feels quite big. They've achieved this look by opening up the wall from the living room and really framing those big windows well. Okay, check this out: This is the before of the kitchen - quite dark, old and dated. 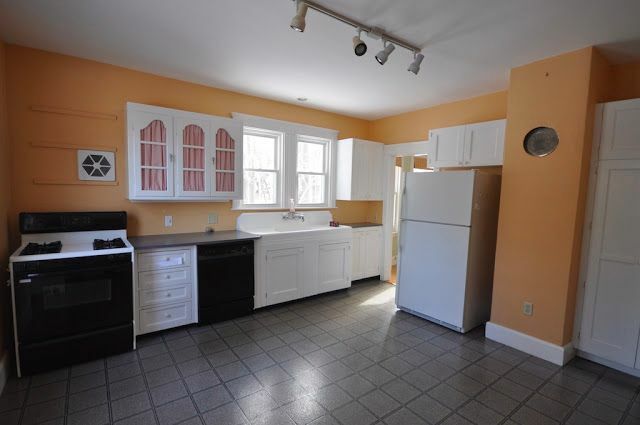 And even though the cabinets look original to the home, they're not really functional in this space. What they've done is totally transform the kitchen by knocking down that wall on the right and opening it up to the dining room. Then, they repurposed the old sink and threw in some updated shaker cabinets that really tie into the period of the home, but add a modern feel and functionality. Then there's the island, which we can't get enough of. 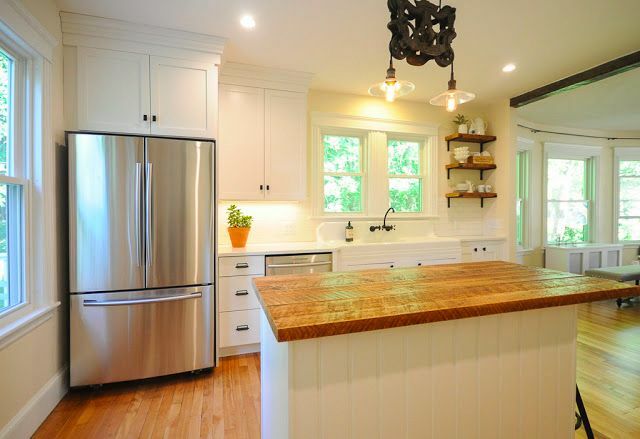 We love this contemporary addition, and how they've managed to make it feel original with the butcher block counter. It's a stunning piece! Finally, the master retreat. Just like the rest of the home, this room oozes with charm but has a fresh and modern feel. The contrast of the blue and red fabrics really pops against the natural hardwoods and the light walls - making this medium-sized room feel clean and open. 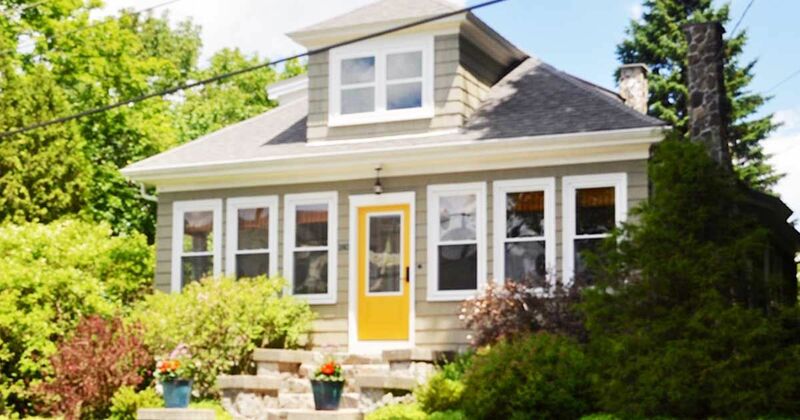 Can't get enough of this bungalow makeover? Neither can we! Don't forget to share this pretty little home with your friends on Facebook, Twitter, and Pinterest – and check out Laurel's other fabulous home renovations on her blog, SoPo Cottage. A two-bedroom cottage full of inspiring and creative spaces.